All of our offices will be closed Thursday, November 22 & Friday November 23, in observance of the Thanksgiving Holiday. 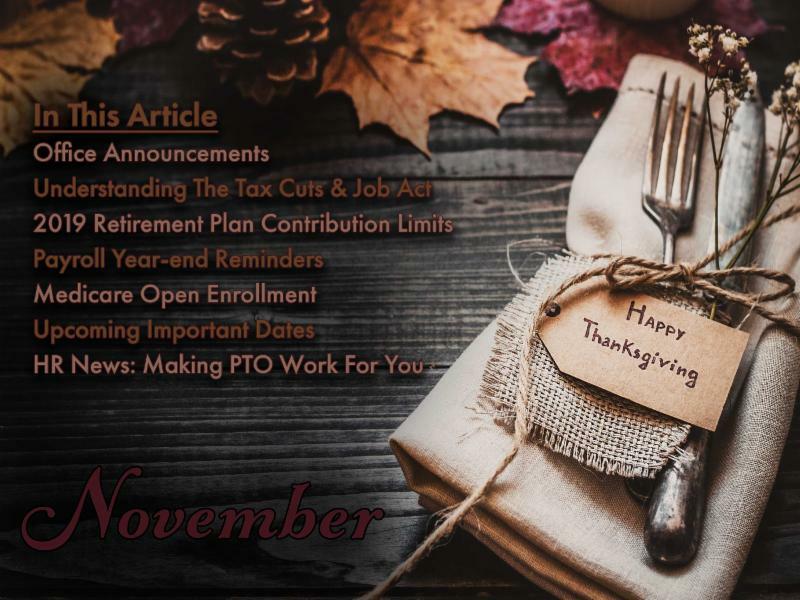 2018 Personal Tax Organizers will be sent out in January 2019. Please contact our office if you have not received your tax organizer by January 30, 2019. Payments to Tette & Ingersoll, CPA PC and Allied Payroll Services can now be made online at www.alliedfp.com . Look for the Make A Payment button on the top right corner of our website. AFP accepts Mastercard, VISA and Discover. Please note: Electronic payments cannot be accepted for financial planning or investment services. Did you notice a slight increase in your paycheck this year? You may have heard that many people will be receiving a new tax break this year, what you may not realize is that this tax break has already been distributed each payday. Due to the Tax Cuts and Jobs Act signed by President Trump in December, 2017, tax withholding tables have decreased. This means that less tax is being withheld from paychecks, resulting in more “take home” cash each pay period. While it is true that the Tax Cuts and Jobs Act provides tax cuts for the majority of Americans, it is not safe to assume that your refund will be larger for 2018 than it was in 2017. If you are concerned about your 2018 taxes, please give us a call. We can put together a tax plan to figure out how your 2018 tax situation is shaping up before it’s too late. 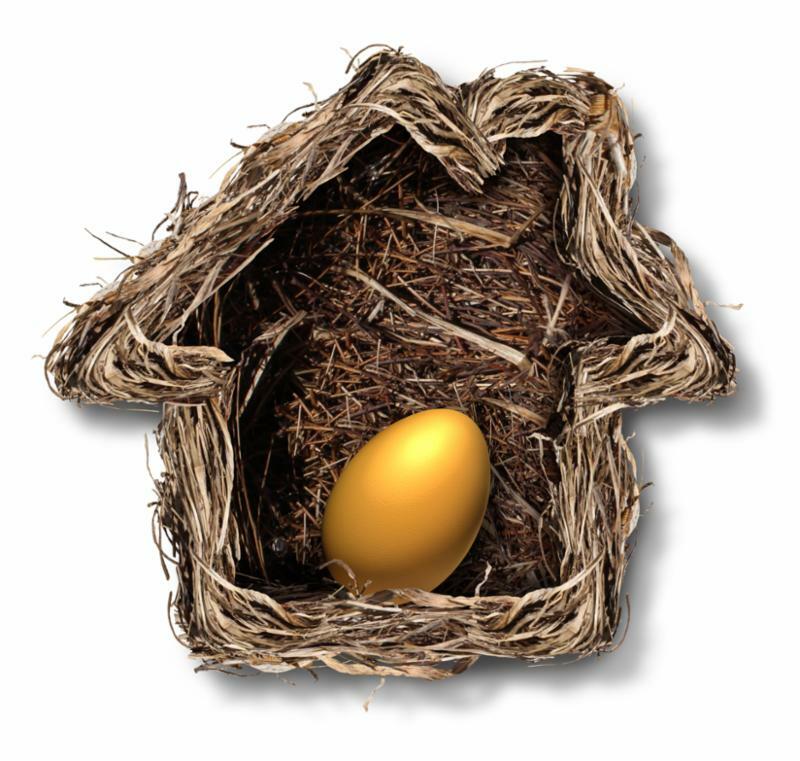 The limit on annual contributions to an IRA, which last increased in 2013, has increased from $5,500 to $6,000. The additional catch-up contribution limit for individuals aged 50 and over is not subject to an annual cost-of-living adjustment and remains $1,000. The contribution limit for employees who participate in a SIMPLE IRA has increased from $12,500 to 13,000 in 2019. The additional catch-up contribution limit for individuals aged 50 and over has remained the same at $3,000. Effective January 1, 2019 the Paid Family Leave (PFL) deductions for employee contributions will increase from 0.126% of gross wages to 0.153% of gross wages with a maximum annual amount capped at $107.97. The maximum weekly benefit for 2019 has also increased to 55% of an employees' weekly wage with a maximum benefit of $746.41. Click here to visit the New York State Paid Family Leave website for more details. You should be receiving IRS Notice CP136 which states your 2019 deposit requirements for form 941. Please forward this notice to your payroll specialist so that we know what schedule your federal payroll taxes need to be deposited on. 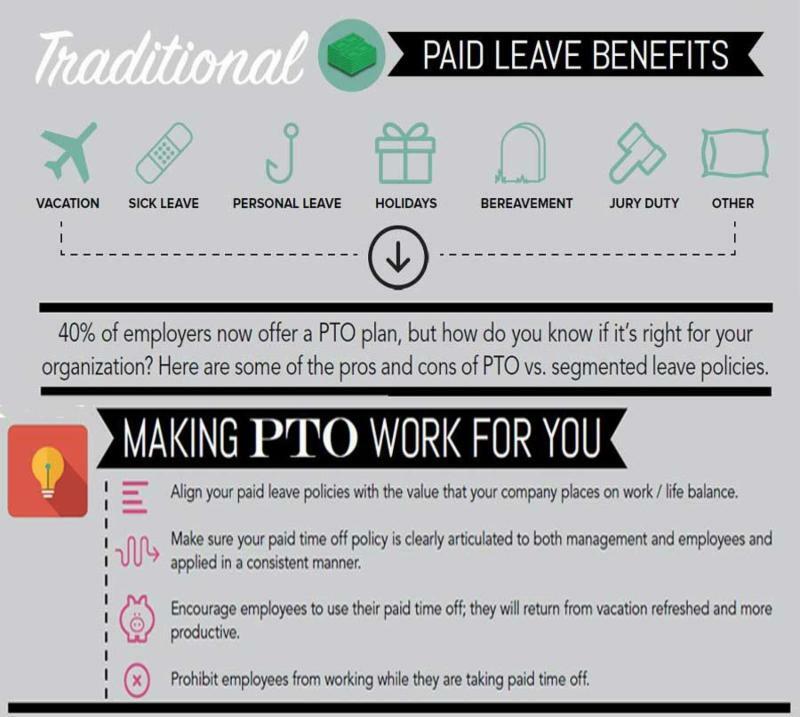 ***This Making PTO Work For You infographic is just a glimpse into the wealth of information available to you through our online HR resources. HR Support Center is a comprehensive suite of online tools and resources to help you manage your HR compliance and employee relationship issues. HR On-Demand offers you everything in HR Support Center in addition to unlimited access to a team of certified HR professionals who will answer your questions and create custom handbooks, letters, forms and job descriptions for you. 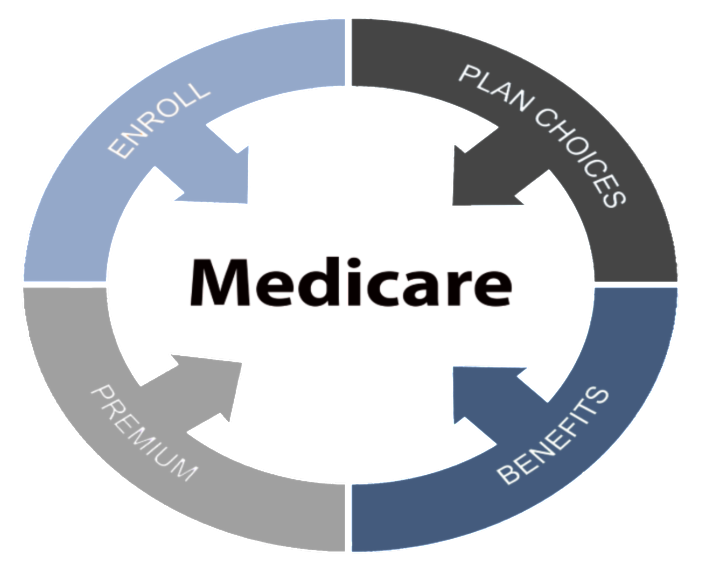 Contact our office today for more information (585) 410-6733 or tax@alliedfp.com. Securities offered through Cambridge Investment Research, Inc. a broker-dealer, member FINRA / SIPC , Investment Advisor Representative, Cambridge Investment Research Advisors, Inc. a Registered Investment Adviser. Cambridge does not provide tax services. Accounting, Payroll, Fixed & Health Insurance, and HR Services are offered through Allied Financial Partners. This communication is strictly intended for individuals residing in the states of AZ, CA, CO, CT, FL, IL, NC, NH, NY, NJ, PA, TN, VA and WA. No offers may be made or accepted from any resident outside the specific state(s) referenced. Cambridge and Allied Financial Partners are not affiliated.